The Struve Geodetic Arc is a chain of survey triangulation measurements stretching from the Arctic Sea to the Black Sea, through ten countries and over 2,820km. These are points of a survey, carried out between 1816 and 1855 by the astronomer Friedrich Georg Wilhelm Struve, which represented the first accurate measuring of a long segment of a meridian. This helped establish the exact size and shape of our planet and marked an important step in the development of earth sciences and topographic mapping. It is an extraordinary example of scientific collaboration among scientists from different countries, and of collaboration between monarchs for a scientific cause. The original arc consisted of 258 main triangles with 265 main station points. The listed Unesco World Heritage site includes 34 of the original station points, with different markings, i.e. a drilled hole in rock, iron cross, cairns, or built obelisks. 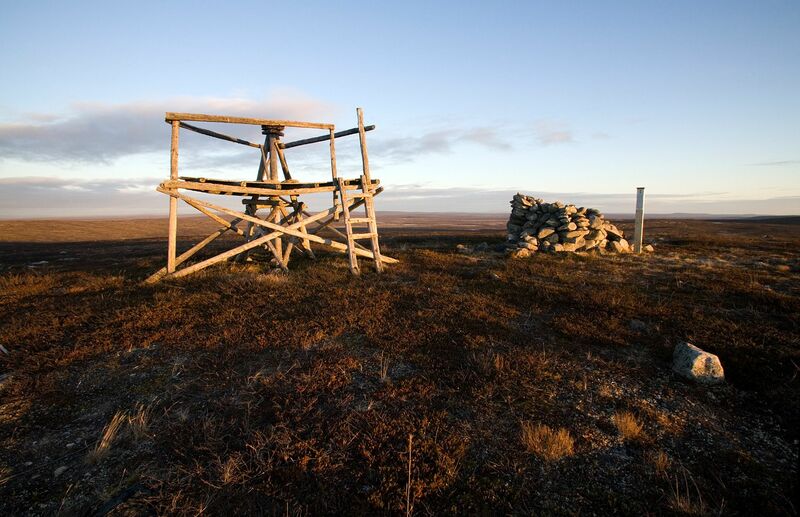 The Struve Geodetic Arc is a UNESCO World Heritage Site. Six of the station points that have been selected to represent the entire Arc on the World Heritage List are located in Finland. The station points have historical importance, but they also offer excellent views of the surrounding area. The Struve Geodetic Arc has also been called the Russo-Scandinavian meridian measurement, because originally the Arc remained within two empires. 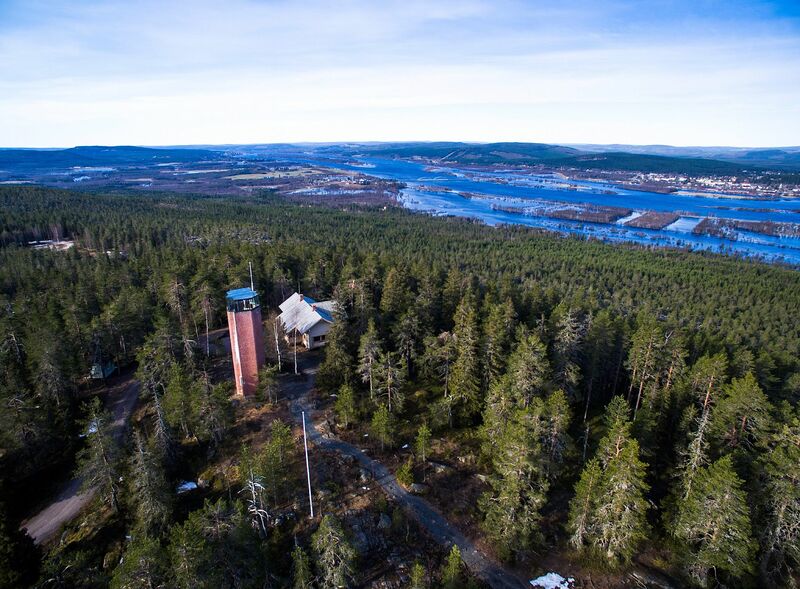 In 2005, the Struve Geodetic Arc was accepted into the UNESCO World Heritage List. The Struve Geodetic Arc represents the cultural heritage of science and technology. Today, the station points are located in ten countries: Norway, Sweden, Finland, Russia, Estonia, Latvia, Lithuania, Belarus, Ukraine and Moldova. The Struve Geodetic Arc was accepted into the World Heritage List following a joint proposal by these countries. A total of 34 station points have been selected for preservation. Six of these are located in Finland. 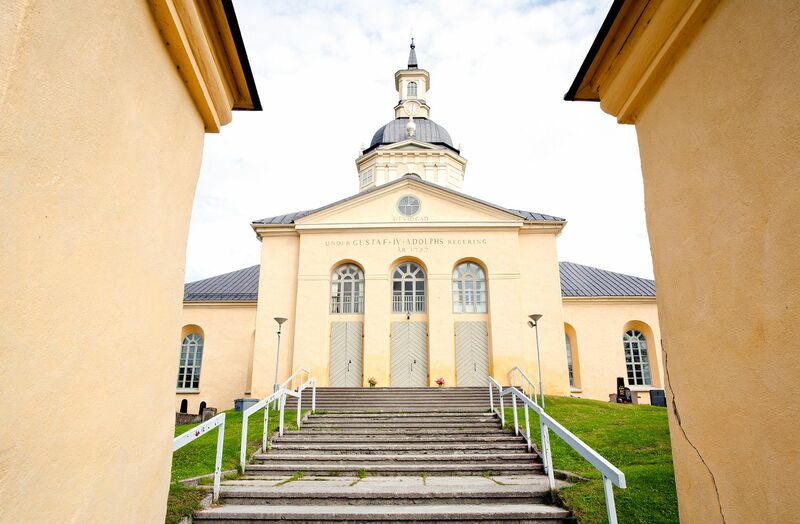 More information about World Heritage sites in Finland is available on the website of the National Board of Antiquities. 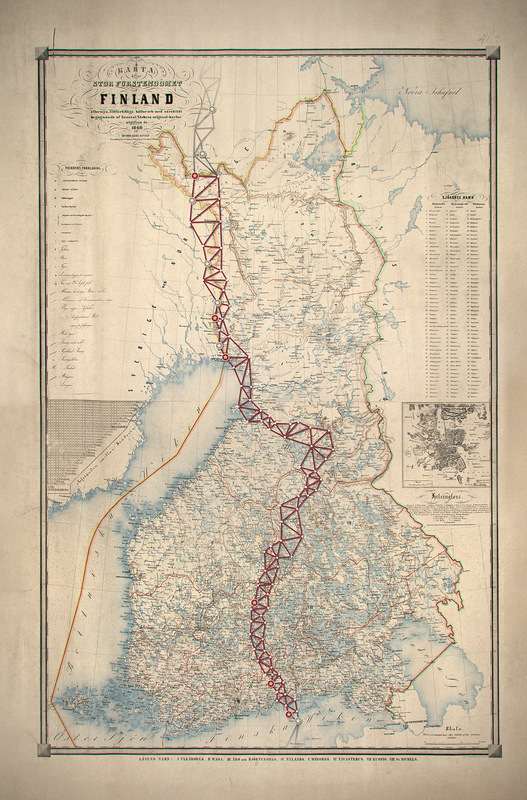 In the 1800's Finland was part of Russia as the autonomous Grand Duchy of Finland. This old map is from 1860 and the Struve arc is painted recently in it. Mustaviiri is an island in the Gulf of Finland National Park. 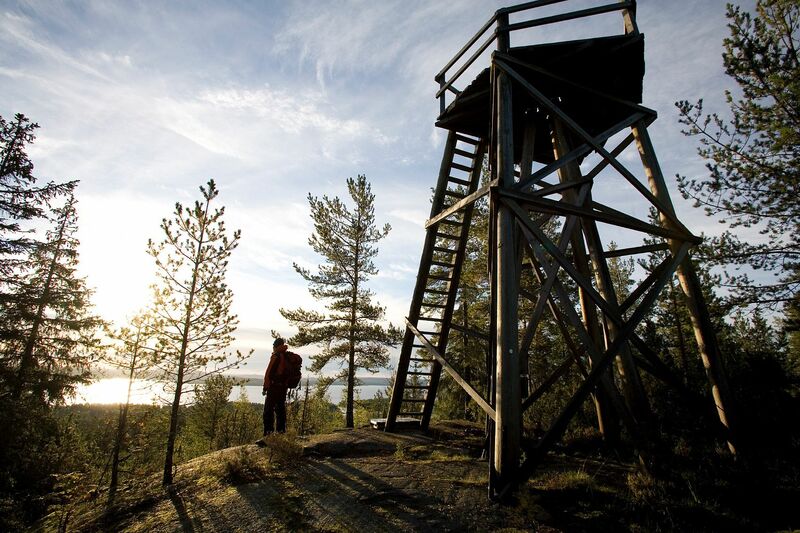 The island is a treasure trove of cultural history sites, such as the southernmost Finnish station point of the Struve Geodetic Arc. The point was established in 1833 and is marked as drill hole in bedrock. Next to the station point there is an observa-tion tower and the remains of the old triangulation tower. The Porlammi site was located on Tornikallio, in the municipality of Lapinjärvi at lake Pyhäjärvi. The point was established in 1833 at the top of the rock Tornikallio and was marked as a drill hole in bedrock. There is a magnificent view of Pyhäjärvi. The slope of the rock is very steep to the lake. The Struve Geodetic Arc expedition used the church tower for measurements. The station is today in the same, authentic place and construction as it was in the time of Arc measurements in the years 1842 and 1851. The top of its tower rises some 40 metres above the sea level. This high peak was a natural place for making triangulation observations. The Alatornio Church station point is easier to ac-cess than many others. The point of the Struve Arc Aavasaksa was established at 1845 and marked with three marker of crosses engraved into the bedrock. Markers were hidden under a lookout tower built in the year 1969 on the highest site of the hill. Aavasaksa was also used as arc point during the Maupertuis measure-ments in the period 1736–1737. Since Maupertuis’ time Aavasaksa has been famous for its beauty and for the sun at midnight. The point of the Struve Arc STUOR-OIVI was establishes 1850-1852 and marked a pair of crosses engraved into rocks. The crosses from year 1852 has survived and the authenticity of the point is based on its permanent use and confirmed by direct measurements related to the adjacent triangulation point. 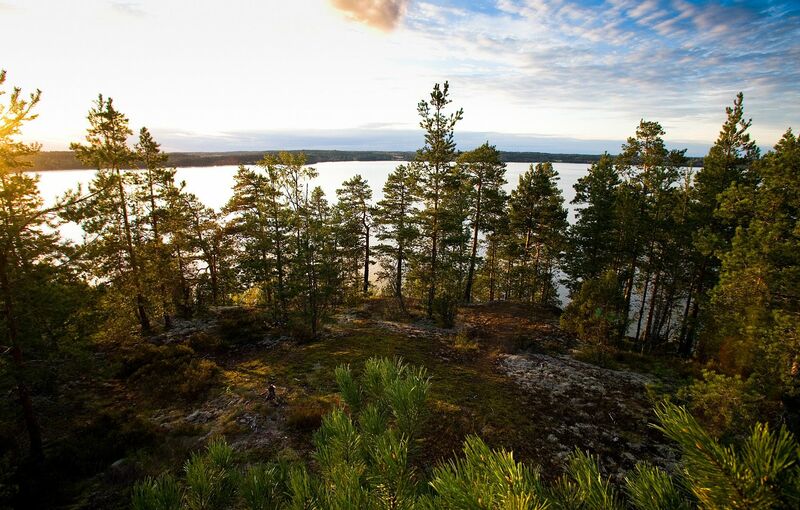 Stuorrahanoaivi is located in the wilderness area of Tarvantovaara. The distance to the nearest road is more than 25 kilometres on foot. More about Struve Geodetic Arc, you can find here.